TV-Recaps-Reviews: Sunday Cable Ratings - 'The Walking Dead,' 'NBA All-Star Game,' 'The Real Housewives of Atlanta,' 'Bar Rescue,' 'Ax Men' & More! 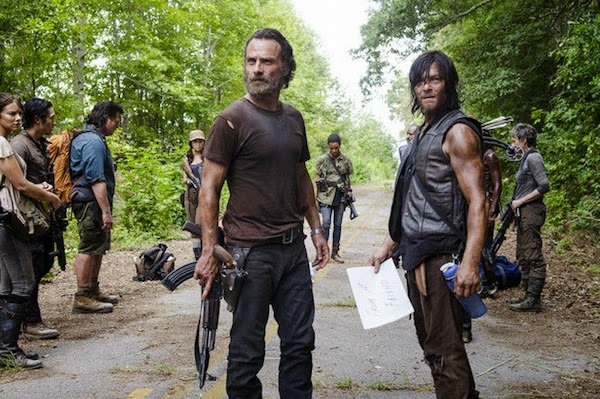 Sunday Cable Ratings - 'The Walking Dead,' 'NBA All-Star Game,' 'The Real Housewives of Atlanta,' 'Bar Rescue,' 'Ax Men' & More! On February 15, 2015, AMC's The Walking Dead was the highest rated show on cable with a 6.22 - followed by TNT's 2015 NBA All-Star Game (2.60), AMC's Talking Dead (2.52) and TNT's NBA All-Star Tip-Off (1.40). The Walking Dead was the most viewed program with 12.267 million viewers - followed by 2015 NBA All-Star Game (5.956) Talking Dead (5.069) and NBA All-Star Tip-Off (3.134). No rating information was made immediately available for Animal Planet's Rugged Justice & Rocky Mountain Bounty Hunters; ID's Unusual Suspects; NBC Sports' NHL Hockey; Oxygen's Snapped; and Travel's 101 Sand n' Surf Hotspots, SI: The Making of Swimsuit 2015 & Marianela's Best Beaches.